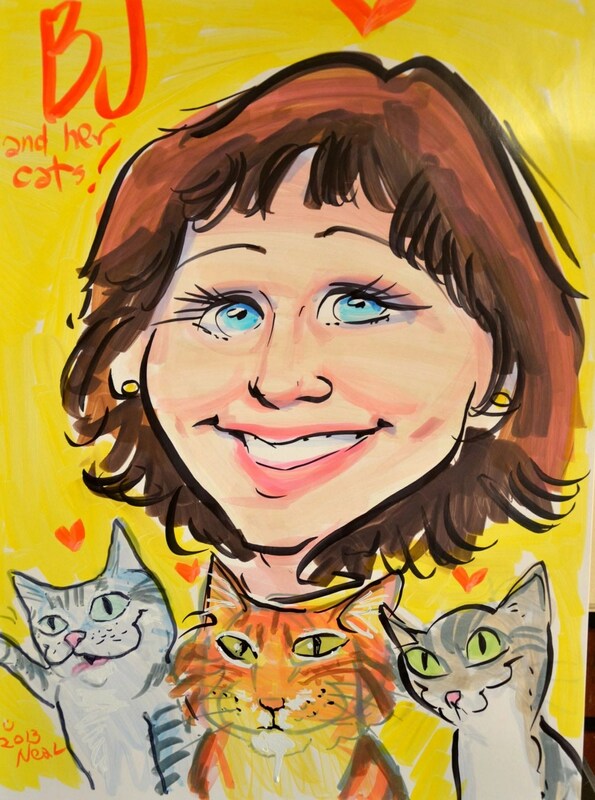 Memorial Day 2015 is more than an excuse for a long-weekend, and a few more hours with the kitties, and the mushrooming amount of lawn work that awaits us homeowners for the summer seasons. It’s a time to reflect upon those that gave their lives in honor of the United States. While we know most of the honors go to the humans, there have been a number of dogs that have given their lives for our freedom. 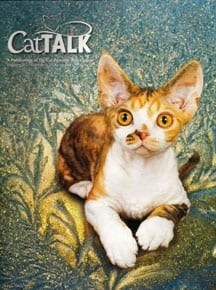 We have no record of any cats that might have helped, but there’s a lot of history that is never recorded. A cat could well have saved someone from being killed, alarming them of an upcoming enemy attack, especially back in the days of the Revolutionary or Civil Wars. The day is being observed across the country with flags, decorated graves for those that died in service, barbecues, family get-togethers, and a day off from work to perhaps reflect on those that gave their lives in honor of this country, and take a reprieve from life’s every day frenzy, and mark the official beginning of summer. 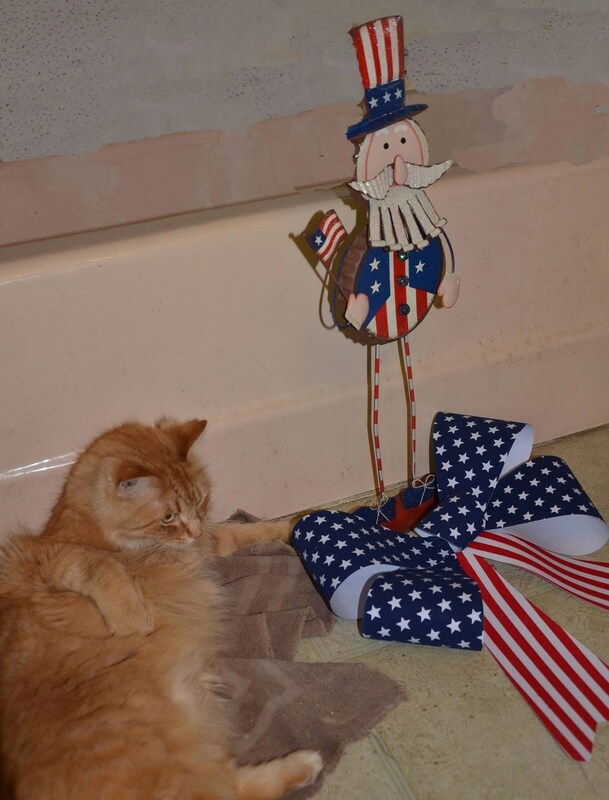 Paws wanted to reflect upon this day because we kitties celebrate and honor our servicemen throughout the years. And Paws take pause, wondering how did it all come about. We take pause, and go back to a post Paws for Reflection did 2 years ago when Paws asked his mummy to do a Google search, and come up with some answers. And as we find the answers together, we pay reverence to those that gave their lives and served to protect their country today, yesterday and tomorrow. We must point out that Memorial Day honors those that died in the U.S. Armed Service, while Veteran’s Day honors all American service people. It appears that Memorial Day sprung out of the Civil War, an event that tore the country apart. It was a divisive event that eventually unified the country, but even though the USA was one country by law, it remained socially divided until the latter part of the 20th century. Some of those unhealed wounds remain today. If you don’t believe it, talk with a person with real strong Confederate or Yankee sentiments. Originally called Decoration Day, it is uncertain where the day actually started. Over two dozen cities and towns claim to be the home of the original Memorial Day. Evidence points to women’s groups in the South decorating graves before the end of the Civil War. 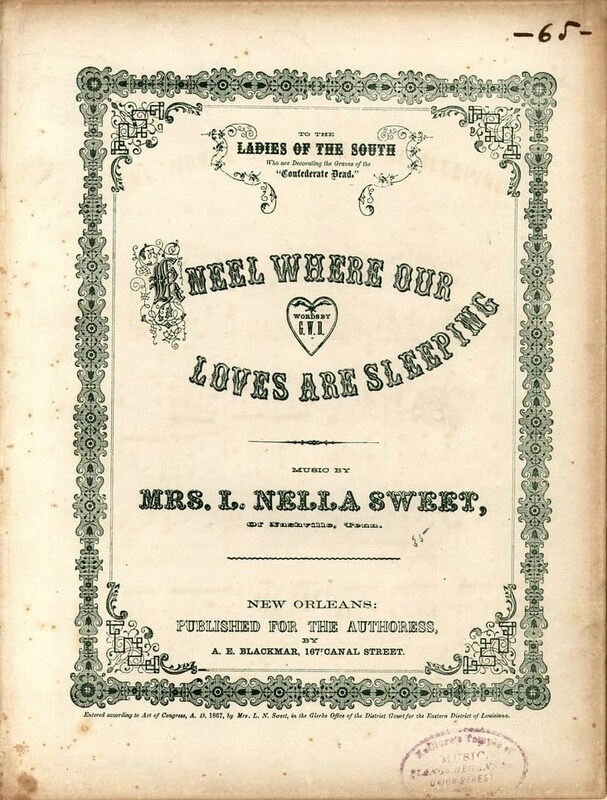 A hymn published in 1867, Kneel Where Our Loves are Sleeping by Nella L. Sweet was dedicated to the ladies of the south who were decorating graves of the confederate dead. (http://www.usmemorialday.org/backgrnd.html cities Duke University’s Historical American Sheet Music, 1950-1920). Here we bow in holy reverence, Our bosoms heave the heartfelt sigh. We feel we owe them all we have, And can but weep and kneel again. Our fathers, brothers fell still fighting, We weep, ’tis all that we can do. Rest they now about his throne, For God is mercy, God is love. That dying we may ask of him, To open the gate and let us in. In May 1966, President Lyndon Johnson proclaimed Waterloo, NY the birthday of Memorial Day. Memorial Day was officially proclaimed on May 5, 1868 by General John Logan, national commander of an organization comprised of Union Veterans – the Grand Army of the Republic – in his General Order No. 11. He declared May 30 as Decoration Day, a time for the nation to decorate the graves of the war dead with flowers, a time when flowers would be in bloom across the country. Decoration Day was first observed on 30 May 1868, when flowers were placed on the graves of Union and Confederate soldiers at Arlington National Cemetery. In 1873, New York became the first state to observe the holiday, and by 1890 all northern states had followed suite. However, the South refused to celebrate Memorial Day until after World War I when it was changed from honoring too honoring Americans that had died fighting in any war, not just the Civil War. It is now celebrated in almost every state on the last Monday in May. It was American teacher Moina Michael who came up with an idea to wear red poppies on Memorial Day. We cherish too, the Poppy red, That grows on fields where valor lead, It seems to signal to the skies, That blood of heroes never dies. She also wanted to find a way to honor those who had died serving the nation during war. Reports state she sold them to friends and co-workers with the proceeds benefiting servicemen in need. That custom was adopted by France’s Madam Guerin, who later became known as the French Poppy Lady, while visiting this country. When she returned to her homeland, she made artificial red poppies to raise money for war orphaned children and widowed women. This tradition spread to other countries. In 1921, the Franco-American Children’s League sold poppies nationally to benefit war orphans from France and Belgium. One year later, the League disbanded. Then Madam Guerin approached the Veterans of Foreign Wars (VFW), who took over the program. In 1922 the VFW became the first veterans’ organization to nationally sell poppies nationally. 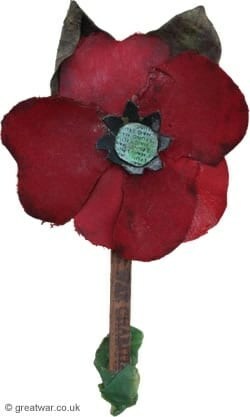 Two years later their “Buddy” Poppy program was selling artificial poppies made by disabled veterans. It is believed that Laura Richardson, a New England native who moved to teach in Knoxville, Tenn., in 1866 began the tradition of placing flags on the graves of veterans on Memorial Day. Since the late 50’s on the Thursday before Memorial Day, the 1,200 soldiers of the 3d U.S. Infantry place small American flags at each of the more than 260,000 gravestones at Arlington National Cemetery. On June 28, 1968, Congress passed The National Holiday Act of 1971 which changed the day from May 30 to the last Monday in May to give the federal government a three-day weekend. This change has long been criticized for stripping the meaning from Memorial Day and making it a three-day weekend. Perhaps in response to this, in December 2000, Congress passed and the president signed into law The National Moment of Remembrance Act which encourages Americans to pause at 3 pm on Memorial Day for a moment of silence to remember those that died in service for the nation. 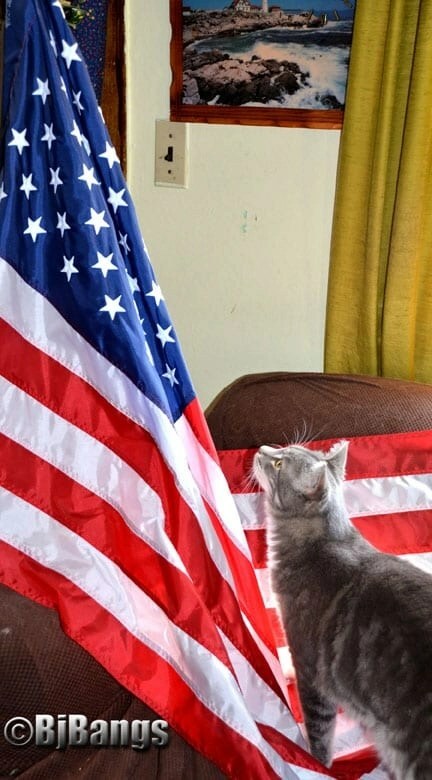 Paws wants to thank the servicemen that have not only died, but also served to protect our freedoms. We kitties have a much better life because of it. We extend a huge thank you: past, present and future protectors of our country. 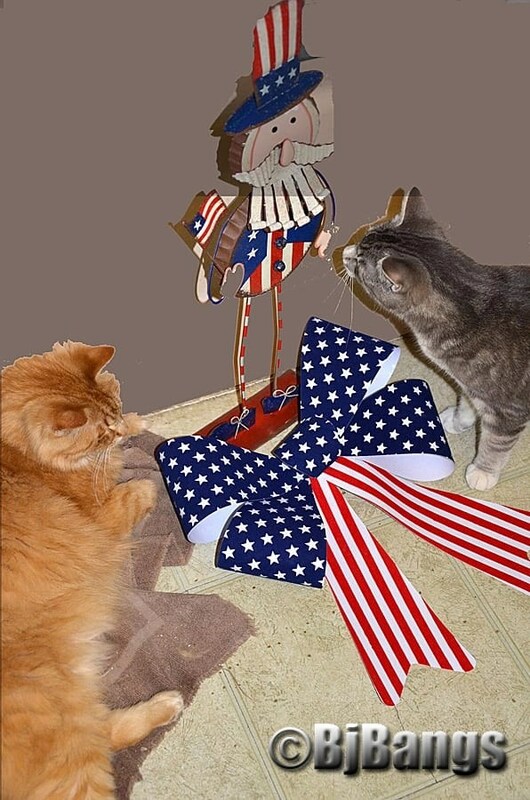 What do your kitties think of Memorial Day? How are you celebrating this day? 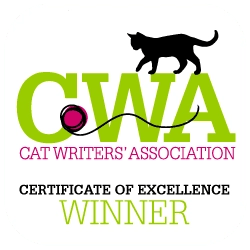 Paws, for one, is writing about it, and thinking that perhaps, if mummy has some extra time, she’ll give us some extra treats. We certainly do hope she remembers to pause for a moment of silence today and reflect? What about you? Do you think we should return to a stand-alone holiday? Please share your thoughts. PS Don’t forgets to enter the Finish the Sentence Game! Trying to jump over. Very cool idea.